Cape Town - They will be hoping not to replicate the mainly unhappy results of South African club teams in CAF competitions during the current season when they face Libya in what is effectively a do-or-die Africa Cup of Nations qualifier in the picturesque Tunisian town of Sfax on Sunday. Bafana Bafana have the comforting knowledge of knowing a draw will be good enough to edge out Libya as one of the 24 qualifiers for the African Cup of Nations tournament in Egypt in June, but against this is the sombre situation of PSL clubs having precious little to show from their sorties into CAF tournaments during the 2018/19 season - particularly when it comes to games outside the South African border. Absa Premiership champions Mamelodi Sundowns have squeezed into the Champions League quarter-finals by finishing second in the Champions League Group stage to Wydad Casablanca, but without a victory in any of their three away games - as well as now facing the prospect of an awkward tie against one of three formidable group winners in Esperance Tunis, TP Mazembe or Al Ahly. As for the rest, the die has already been cast for Orlando Pirates in the Champions League and Kaizer Chiefs and Free State Stars in the Confederation Cup - all three without a single away victory in their final elimination stage. The one-time dominant Amakhosi went down to a shock 5-2 aggregate defeat to Zambia's Zesco Electricity Supply United and Free State Stars, last season's Nedbank Cup winners, failing to beat Rwanda's modest Mukura Victory Sport in either of their matches. It is this malaise of South African teams to "travel well" that must surely have influenced Bafana coach Stuart Baxter to coerce SAFA and the PSL to allow an unprecedented early departure for Bafana to Tunisia in an attempt to acclimatise and utilise the advantage of knowing a draw will be as good as a victory on this particular occasion. 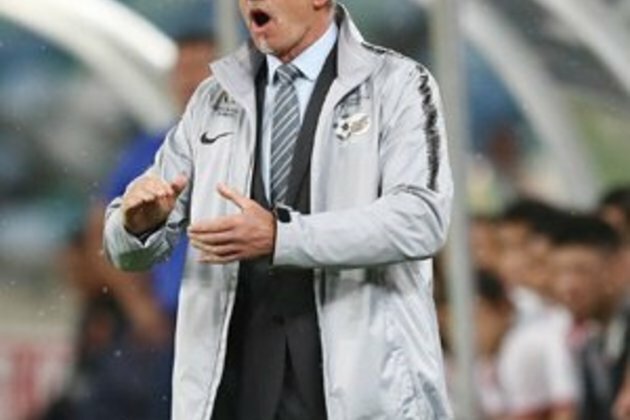 And while Libya have been deprived of playing the high-tension decider on home soil because of simmering outbreaks of violence in their country, Sfax is no more than 270km away and a substantial convoy is expected to cross the border to make Tunisia seem like a home-from-home for the neighbouring North Africans.